Make every trip to Baskin-Robbins sweeter with the Baskin-Robbins mobile app. Download today and get a free scoop*! Want some ice cream with that app? Get a free regular scoop when you download thier app and sign up for mobile deals. Terms & Conditions apply. 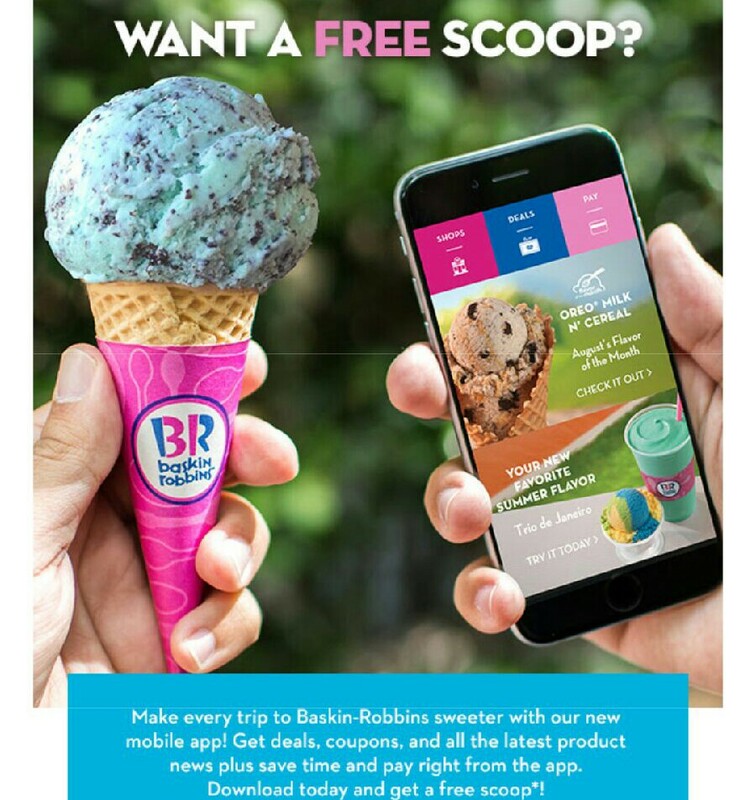 **Regular scoop offer awarded upon first downloading the BR Mobile App and registering a new account or logging in with an existing Baskin-Robbins account. Limit one coupon per customer. Regular scoop offer valid at participating U.S. Baskin-Robbins locations. Offer excludes all Waffle Cone varieties and toppings. Customer must pay applicable tax.